With the launch of its Safe EFI-pro system, Sick has delivered standard industrial Ethernet-based safety network integration for safeguarding in automated production and logistics environments to SIL 3/PLe. The Sick Safe EFI-pro system is a single-source solution that is said to provide the foundation for simpler, more productive and responsive machinery safety, which is particularly valuable for dynamic applications like autonomous vehicles and human/robot collaboration. Safe EFI-pro comprises the Sick microScan3 EFI-Pro safety laser scanner and the Sick Flexi Soft safety controller with EFI-Pro gateway. Sick’s Flexi Soft EFI-pro gateway facilitates simple and safe system integration via EtherNet/IP CIP Safety and EFI-pro, allowing connection to Sick EFI-Pro devices like the microScan3, as well as third party CIP-Safety devices such as robot controllers from leading manufacturers, remote I/O modules and safety PLCs. Connected to Sick’s Flexi Soft modular controller, the system provides scalability, facilitating the integration of encoders, devices with analogue outputs, hard-wired I/O, and additional gateways for non-safe communication to other networks. The Sick microScan3 EFI-pro safety laser scanner enables simultaneous field evaluation with the possibility of monitoring up to eight protective fields at the same time on one device. Users can also configure up to 128 monitoring cases per scanner. 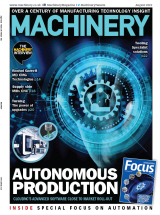 Powered by Sick’s safeHDDM scanning technology, the microScan3 EFI-pro minimises machine downtime, even in challenging industrial conditions featuring welding, reflections, high ambient light, dirt and dust, says the company. With Sick’s newly developed, licence-free engineering tool, Safety Designer, configuration of the Safe EFI-pro system is facilitated with a ‘drag and drop’ user interface. System-wide access to all networked components ensures commissioning is easy, while extensive diagnostic options are available to optimise processes, such as for the analysis of machine downtime. Safe EFI-pro is designed to enable safe human and robot collaboration with minimal effort. Especially where speed and distance are issues, Sick says that the system offers intelligent and responsive safeguarding for situation-dependent robot protection. The integration of robot controls into the safety system is straightforward via EtherNet/IP CIP Safety. 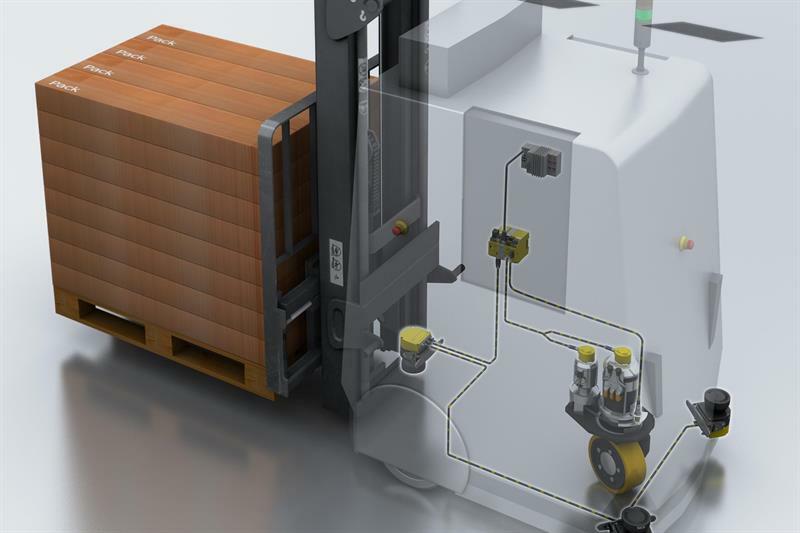 With Safe EFI-Pro, automated guided vehicles (AGVs) and carts can work more quickly, intelligently and safely. Furthermore, simultaneous protective monitoring of multiple fields means less need for switching between monitoring modes, so dynamic protective fields can be shorter, and therefore more responsive and efficient. The safe contour detection field, which is unique to the microScan3, supports applications such as safe AGV docking and protecting workers at narrow access points, as well as providing signals for self-muting. The microScan3 can also provide accurate, Ethernet-based measurement data for navigation – a ‘non-safe’ function that saves the need for additional scanners. Data is available as part of UDP frames, either on request or through continuous transmission. As well as data such as the number of beams, distance, status and reflectivity of every beam, additional data like field interruption, application I/O, device status and configuration, can be output.